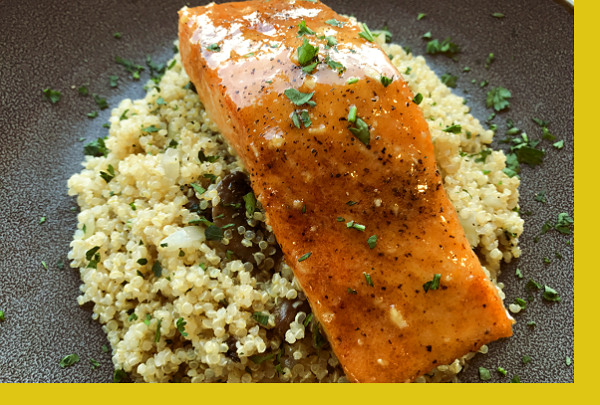 Healthy baked salmon topped with a delicious honey mustard glaze served with mushroom quinoa that's loaded with fiber and gluten free. Great hassle free option for those busy weeknights. Spread honey mustard glaze evenly over salmon. Place in refrigerator for 15 mins. Preheat oven to 425 degrees. Place the salmon in the oven and bake for 15-20 minutes or until cooked to desired doneness. Reheat quinoa and serve. Super easy and super delish!!! 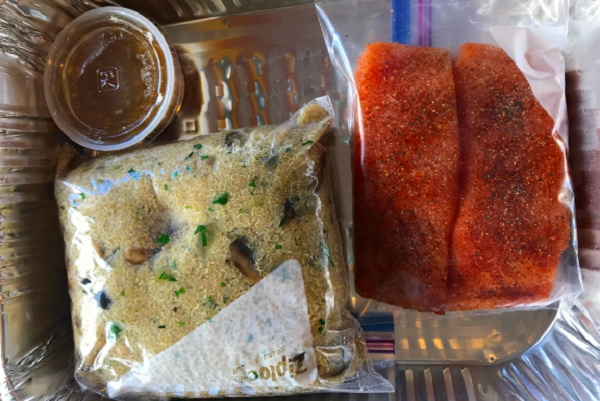 I love fish, and Maria's delicious honey mustard salmon makes me love it even more! I would prefer rice over quinoa though. It is a MUST order for me. 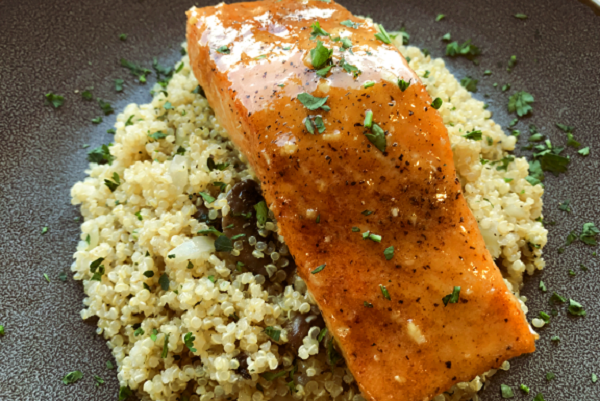 Maria's salmon dishes are a favorite of ours and this one does not disappoint! Wonderful flavor, cooked to perfection, and even my picky children now love salmon because of Maria! We have now ordered 3 or 4 salmon meals and have loved every single one of them!